In just three decades, Vietnam has been transformed from one of the world's poorest nations to one of the world's greatest development success stories. The Doi Moi economic reforms of the late 1980s helped the country move away from its centrally planned economy and toward globally oriented market economy. This contributed to a stunning average growth rate of 7 per cent between 1991 and 2010. 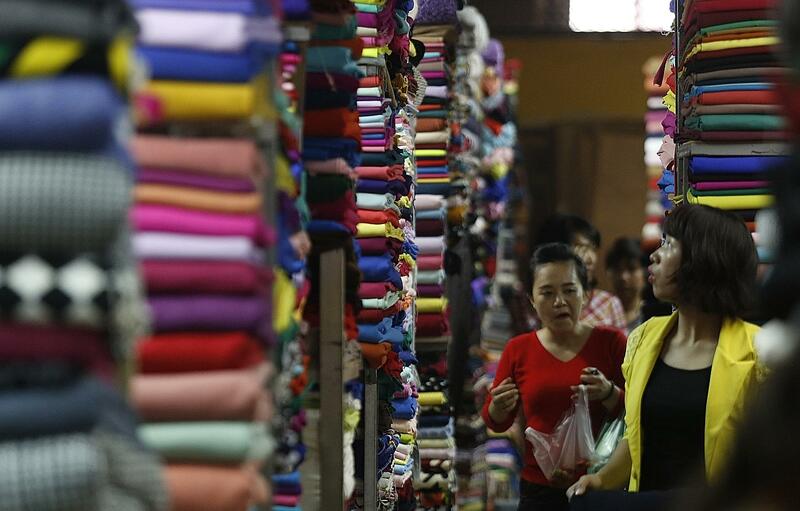 Despite this tremendous progress, in the current global economic slowdown, Vietnam's gains are fragile. One third of the country's population - 30 million people - are vulnerable to falling back into poverty. The World Bank's joint report with the government of Vietnam, called Vietnam 2035, finds that Vietnam will benefit from even more reforms to boost its economy and reach a growth rate that will allow it to achieve upper-middle-income status within the next two decades. This report - which Prime Minister Nguyen Tan Dung and I decided to start over a lunch in Hanoi in July 2014 - was prepared with inputs from Vietnamese and international experts. It outlines a series of steps that Vietnam can take to achieve its ambitious goal of becoming a modern, industrialised nation in a single generation. While the focus is clearly on Vietnam, many of the recommendations are important for all countries looking to compete more successfully in a globalised economy. In just 30 years, Vietnam has reduced extreme poverty from 50 percent to roughly 3 per cent - an astounding accomplishment. It now has the opportunity to focus on the last 3 per cent, who are mostly ethnic minorities in hard-to-reach areas - populations that also happen to be the most vulnerable to natural disasters, climate change and economic shocks. First, Vietnam will need to grow annually by at least 7 per cent to become an upper-middle-income economy in the next two decades. This growth can be supported by increased innovation, efficient and sustainable urbanisation, and resilience to changing climate patterns. It is important to establish a more efficient and competitive private sector - this is the driving force behind job creation, innovation and increased levels of productivity. Vietnam's private sector will thrive with fewer barriers to competition and more efficiently allocated capital and land resources. These steps will help the country take advantage of new trade opportunities presented by agreements like the Trans-Pacific Partnership. But growth alone is not enough to improve the lives of all people in Vietnam. The report's second message is to build on the country's impressive record of equity and social inclusion. The findings argue for more inclusion of marginalised groups and better services for Vietnam's ageing and urbanising middle class. In just 30 years, Vietnam has reduced extreme poverty from 50 per cent to roughly 3 per cent - an astounding accomplishment. It now has the opportunity to focus on the last 3 per cent, who are mostly ethnic minorities in hard-to-reach areas - populations that also happen to be the most vulnerable to natural disasters, climate change and economic shocks. Vietnam is particularly exposed to the adverse effects of climate change; much of its people and economic assets reside in low-lying areas, such as coastal lowlands and deltas. We're helping to address this challenge through an upgrading project that is turning underperforming urban areas into vibrant, more climate-resilient communities. Nearly 1,000km of new or upgraded drains and roads have helped to reduce flooding and improve environmental conditions for 200 low-income neighbourhoods to date - aiding 2.5 million mostly poor people. This is just one example of a range of active projects we have in Vietnam. It's also critical for children from poor households to have better access to education, nutrition and sanitation services so that they have the best chances of succeeding in their adult years. Other reforms include a more sustainable pension system, higher completion rates of upper-secondary school and universal health coverage based on a strong primary care system. The report's final message relates to governance. Vietnam will have a greater chance to achieve its goals for 2035 with comprehensive governance reform. While we've seen great progress on this front, Vietnam aspires to be an even more modern and democratic society. These steps will depend on institutions that are accountable, transparent and firmly rooted in the rule of law. There are clearly challenges ahead, but I firmly believe that Vietnam can achieve its ambitious reform agenda if the country continues to unlock the potential of its domestic private sector and carry out the recommendations of this report. We stand ready to support Vietnam's 2035 vision of becoming an even more just, prosperous and democratic society and an example to countries around the world. • The writer is president of the World Bank Group.